Don’t you love taking your baby or toddler on adventures? It’s so much fun seeing the wonder and amazement in their eyes as they experience new things! If you’re an active parent who likes to babywear or you live in a warm environment, you may have the same question: is it possible to babywear and not be drenched in sweat? 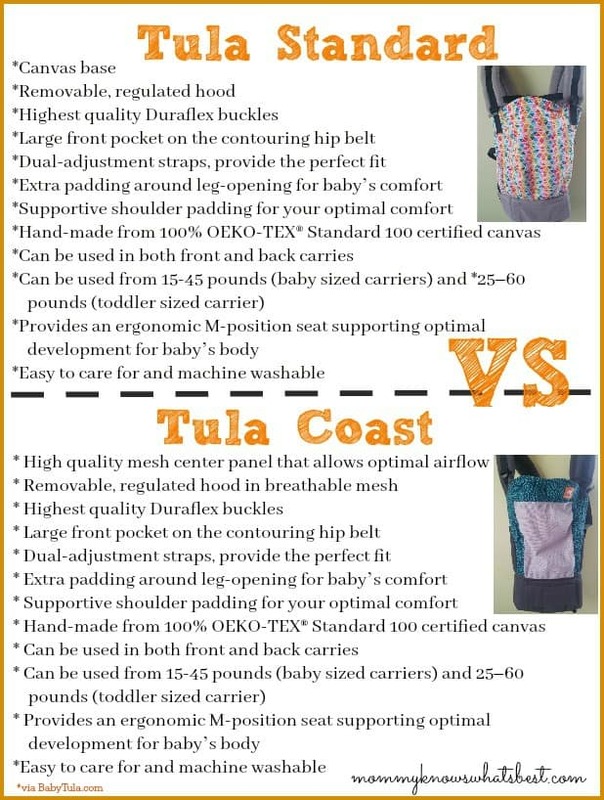 Or, if you are a Baby Tula fan, is the Tula Coast cooler than a Standard Canvas Tula? Using a canvas carrier while being active or while living in a warm environment can definitely be a sweaty time, for both parent and baby. The canvas doesn’t really allow for air movement, trapping the heat inside. It’s great for cooler climates or everyday babywearing, but not great when you are being active or experiencing warm weather. 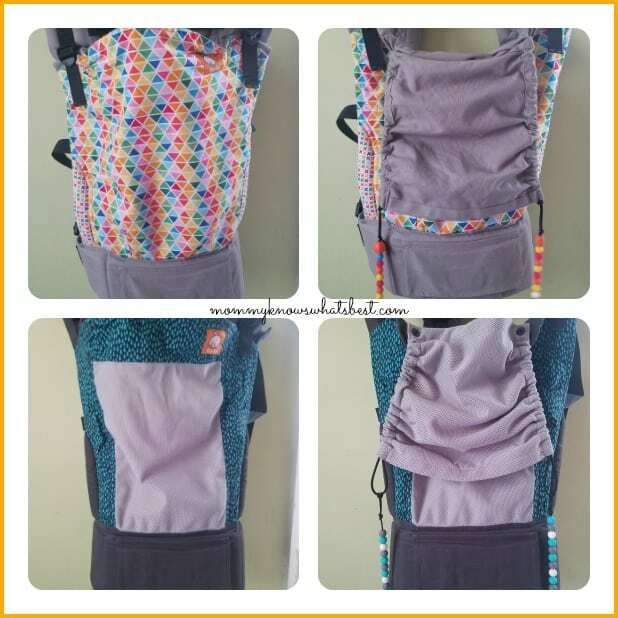 Baby Tula designed their own mesh panel carrier, called the Tula Coast. Instead of a full canvas panel, there is a mesh panel in the front, which allows for more airflow. 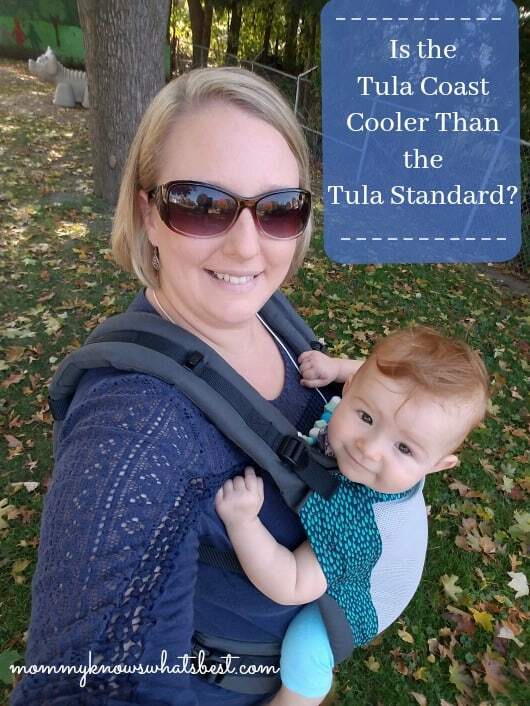 This begs the question: Is the Tula Coast Baby Carrier cooler than the Tula Standard Baby Carrier? Take a look at each of the characteristics of the carriers first, then I’ll tell you what I have discovered. For the Tula Canvas, I chose the Standard Confetti Pop, which has a very colorful geometric rainbow pattern. What I like best about this carrier is the supportive shoulder padding. And let’s not forget about the colors! They really do ‘pop’! The pocket in the belt is a great feature as well. I can actually keep my Samsung Galaxy in it without worrying if it’ll fall out. For the Tula Coast baby carrier I chose to review the Coast Aqua Rain, which has a pattern of rain drops falling on a deep blue background. This as you can see has the mesh center panel. It isn’t a harsh mesh yet a gentle soft mesh that is still sturdy for baby. Even the hood has mesh so the baby’s head doesn’t sweat when in use. This carrier too has the pocket, which is very handy. Is the Tula Coast Cooler than the Tula Canvas? I have had these carriers for a while now, and I have taken them everywhere. We have been hiking, to the park, shopping, and even to the doctor’s office. I wanted to be sure I really knew how they worked and felt before writing about them. For starters, it took a few readjustments before I was totally comfortable in both of them. This is just because I was used to my other carriers, but now I have found the best fit in both. (Thankfully there are TONS of helpful videos out there!) The one thing I would find lacking is a lumbar support or belly pad, but that’s a minor issue. I used them both in front and back carries. In front carries the hood was easy to reach, but I added my own reach straps so I can reach the hood in back carries. To really get a feel of how much cooler the Coast was compared to the Canvas, I took them hiking, which is a very active and often warm experience for both the baby and I. Thanks to warm autumn days, I was able to experience the carriers as they would be in warmer climates. The baby and I were definitely sweaty in the Canvas. It kept the heat in a little too much (which is great though on cold days!!). While I wasn’t 100% sweat-free in the Coast, I noticed that the baby was much cooler and not very sweaty. Because she wasn’t sweating too much, I wasn’t either, at least on my back. There is definitely much more air flow with the center mesh panel. 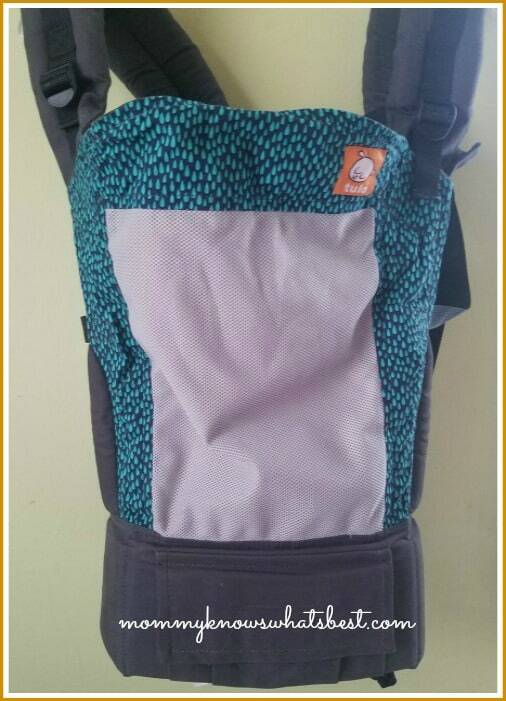 This is our newer Tula Coast Toddler Carrier, which is just as cool as the standard size. Being cooler with the Tula Coast baby carrier also helps when active around the home as well! Bottom line? I’d say yes, the Tula Coast baby carrier is definitely cooler than the Tula Canvas. I would recommend the Coast to anyone who lives in a warmer climate or just has an active babywearing life. Not Sure What Size or Style Tula to Buy? These carriers both come in regular and toddler sizes, along with the Free-to-Grow and Explore. Baby Tula has a very handy size comparison chart to determine what size carrier you might need. Click here to see what kind or size of carrier may be right for you. 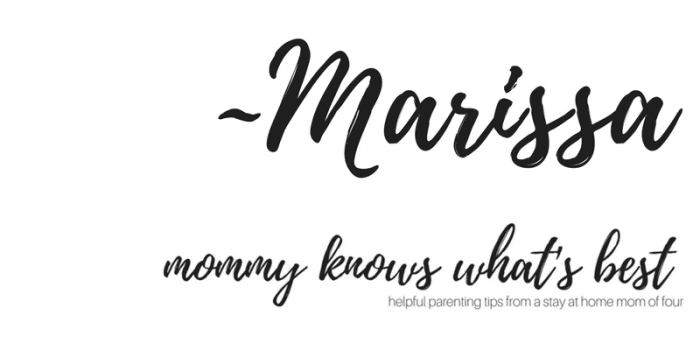 ALSO READ: What Kind of Baby Carrier Should I Buy? 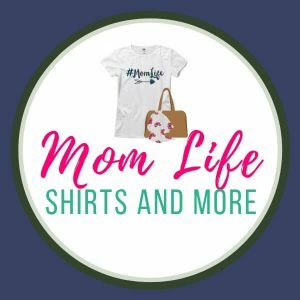 Use code MOMMYKNOWSWHATSBEST5 to get $5 off your order! You can find a full list of all available Tula Baby Carriers on BabyTula.com There you can also find ring slings, wraps, blankets, doll carriers, gift cards, and accessories. Get free domestic shipping on orders of $80 or more. There are also Tula Baby Carriers on Amazon (affiliate link). Tula Baby Carriers are also available at The Natural Baby Co where you can get free shipping with orders over $49 and pay with Paypal. Follow for Exclusive Baby Tula Print Releases, Sales, Giveaways, and more! Be sure to follow Baby Tula on Facebook, Instagram, Twitter, Pinterest, and YouTube for exclusive print releases, sales, giveaways and more! Many thanks to Baby Tula for sending me these amazing carriers to review! I could have used this when my kids were babies, We had none and even one would have worked with my twins. This is the coolest baby carrier.. 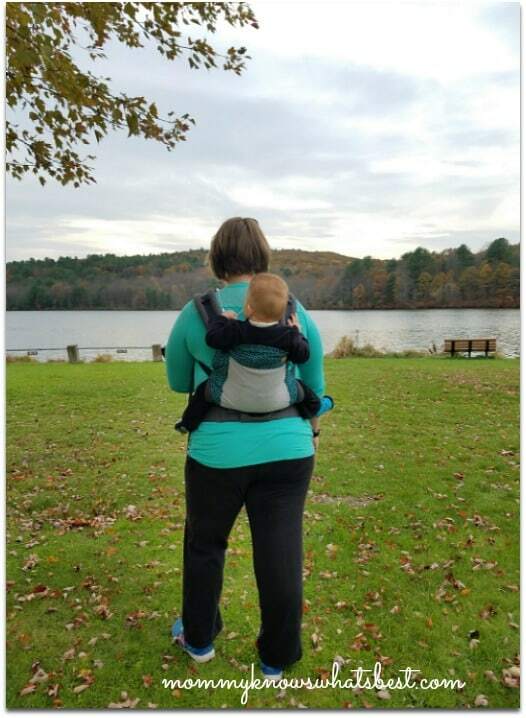 This looks like such a neat carrier and comfortable for mom and baby! I love the designs! My sister in law had a baby last week! I would love to give her a baby carrier! I like the style of these better than the one I had when my daughter was small. Funny how much better some things get in 5 years. Cool! Wish I had something like this back when I had my babies! They didn’t make things like this when my kids were babies. This sure would have come in handy! The mesh panel is a nice innovative design. The weather in my area is tropical year-round so a cooler baby carrier would definitely be useful. 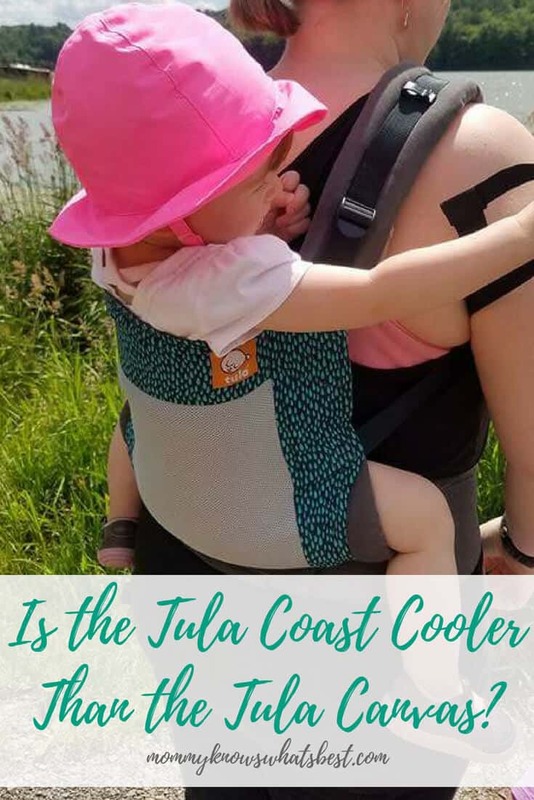 (Is the Tula Coast Baby Carrier Cooler than the Tula Standard Baby Carrier? Tula Coast Review) Sounds like a great baby carrier, would make a great baby shower gift. How cool that they have a pocket for your phone or whatever. 🙂 Do they buckles have a double hitch like the Beco Gemini? We didn’t like that because you can’t quickly get out of it. I really wish I had this when I had my daughter it really looks like a cool baby carrier. I love the color and design. I like that the mesh panel allows for airflow. I like it can be used in front or back. Looks comfortable, very hands free. Love the Tula Coast. yay for a more breathable carrier 🙂 And I’m VERY happy to hear the Coast comes in Toddler size, since that’s where we’re headed. Thanks for the insight Marissa! Just trying to decide which to get. I would like to only have to purchase one Tula! 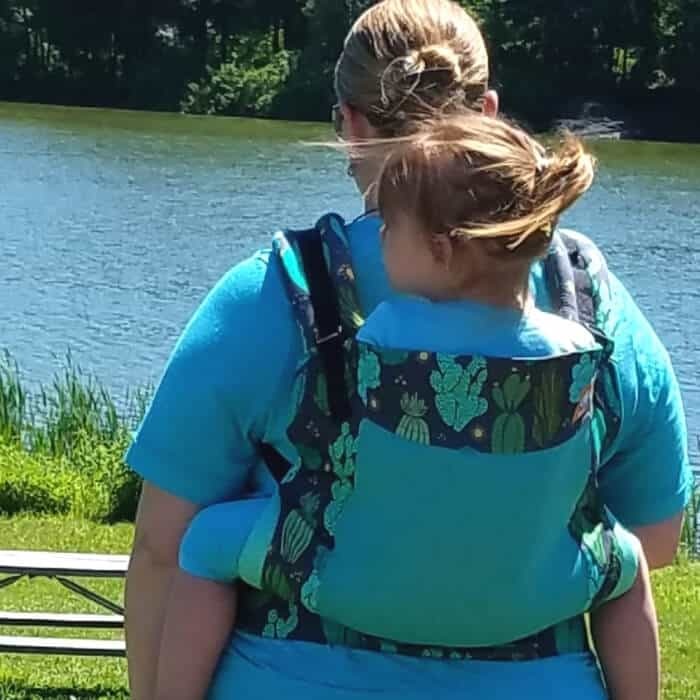 I live in Virginia and the weather is both hot in the summer and cold in the winter but I wouldn’t be babywearing when it’s frigid out. Sounds like the breathable mesh back may be a better option. My daughter swears when I wear her currently. I just worry she may get too cold but I could always layer her up or put a blanket behind her…. You’re welcome! I honestly have been using the Coast even in the winter. My baby is bundled up and I use a carrier cover, so she stays warm. When it’s frigid, I do prefer the standard, but we’re not out too often then. Have you tried a Lillebaby airflow? If so, which would you prefer between coast & airflow? I don’t have an Airflow, but I do have two All Seasons from Lillebaby. I can say that the Coast is definitely cooler than the All Seasons.